Pipe beveling is the process where an angle (chamfer) or special form (J-prep) is formed on the edge of the end of a pipe or tube. What is a pipe beveling machine? A pipe beveling machine is a mechanical processing machine for machining pipe or tube ends with a cutting tool to form the weld preparation. Why is pipe beveling important? 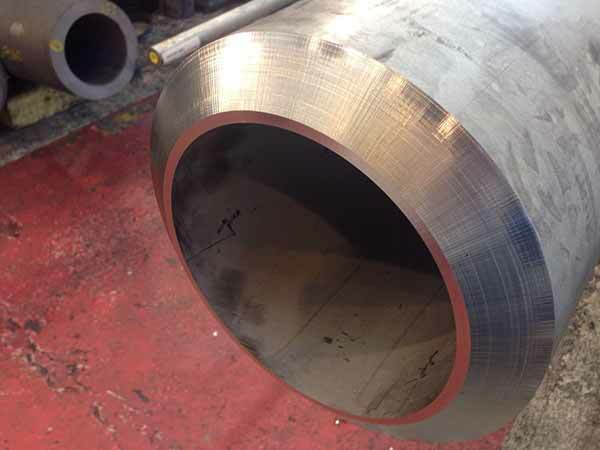 Pipe beveling is important to create a high quality pipe end preparation to achieve a high quality welding result. How to use a pipe beveling machine? A pipe beveling machine is a hand held and operated machine to bevel the pipe ends on site. Pipe beveling machines are mainly operated by one operator. To machine the pipe ends the machine is clamped on or in the pipe and a rotating tool holder with cutting tools is machining the pipe ends.